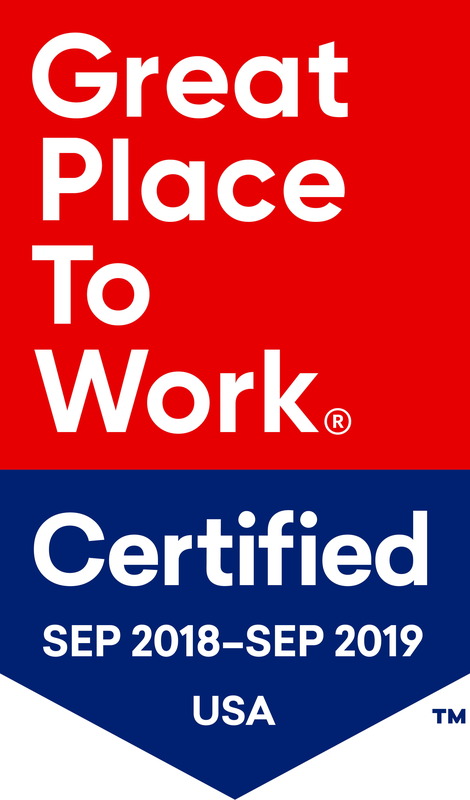 Neenah, WI - J. J. Keller & Associates, Inc., the nation’s leading provider of regulatory, safety and compliance solutions, has been certified as a great workplace by the independent analysts at Great Place to Work®. This is the third year in a row J. J. Keller has earned this designation, which is based on extensive ratings provided by associates in anonymous surveys. A summary of these ratings can be found at http://reviews.greatplacetowork.com/j-j-keller-associates-inc.
Keller’s grandfather founded the company in 1953 as a one-man consulting firm. His vision was to build a team of associates with shared responsibilities and shared results. As a family-owned business, J. J. Keller has stayed true to this “Associate Principle” along with a core set of values and strategic beliefs. These have served the company well. Today, the company has grown to approximately 1,400 associates in the Fox Valley as well as remote work locations across the United States. Using employee feedback, the Great Place to Work Trust Index© Survey assesses organizations on five principles – credibility, fairness, respect, camaraderie and pride – that define the overall concept of what an employee views as a great workplace. J. J. Keller associates completed 1,069 surveys, resulting in a 90 percent confidence level and a margin of error of ± 1.21.